Who needs a bike torque wrench? Anyone with a mountain bike that’s who! How do you know whether or not you need one? The short answer, if you have a decent bike that has carbon parts, is, “Yes.” It might not be essential if you have a much older bike, but it does make things a lot easier. This is basically a tool that lets you determine how much the bolt is to be tightened by. What makes this different to a standard spanner, is that this tool lets you know when you have reached the setting that you input. Which in turn means that you get it tightened perfectly. Of course, this is also good for ensuring bolts are not left too loose. This could be dangerous for you, especially if you are going over particularly rough terrain. 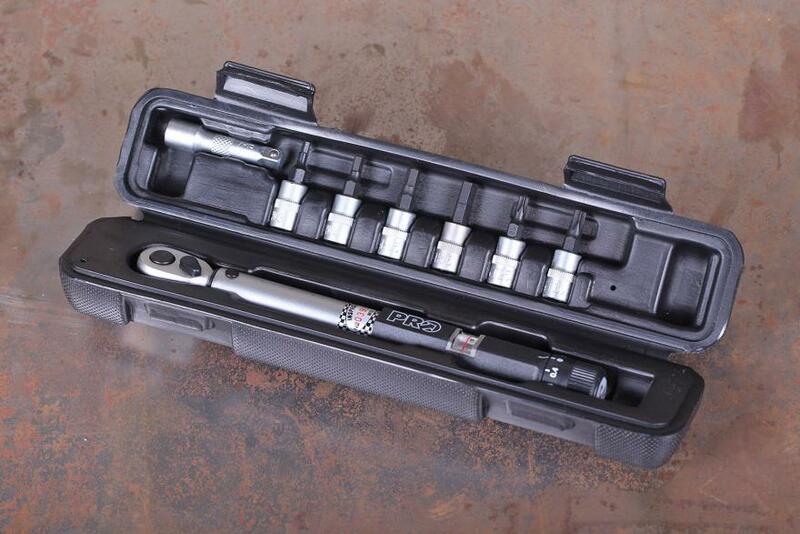 We’ve compiled our list of the 3 best bike torque wrenches so that you have a place to start your search. 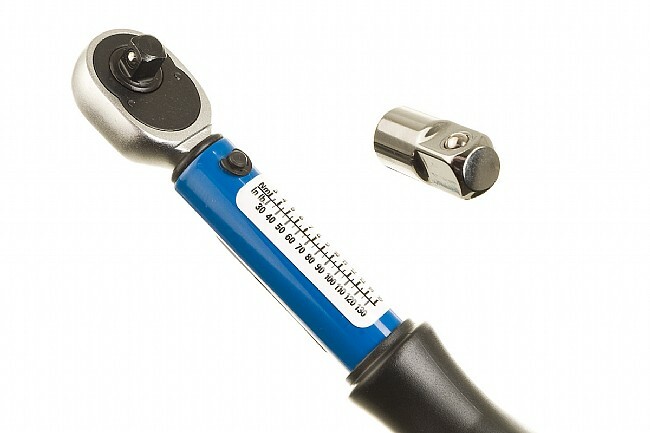 The more carbon that has been used in the making of the frame, the more a torque wrench becomes an essential component. This pro model by Shimano Pro offers a great quality wrench at an attractive price. Naturally, when it comes to this type of tool, you can expect to pay a fair deal more. That said, this still comes in quite a good deal less expensive than our other two models, so it gets the vote for best budget purchase. This model is precision-engineered for maximum accuracy and efficiency. You don’t have to worry about crushing expensive carbon components again. It is adjustable – the range is 3 to 15Nm for all seat posts, handlebars/ stems, etc. You can adjust it in increments of 1.5Nm, so if you are looking for something that offers better fine-tuning capabilities, the Park Tool is a better option. • Range 3-15Nm – with 1.5Nm increments for fine tuning. • Has M3 – M6, T25 and also T30 sockets and the extension. • The sockets are made from chrome vanadium for durability and stability. • Compact in size so easy to carry on your ride if necessary. • Comes with its own storage box. • Good price for what you are getting. This model is the priciest on our list, but don’t let that put you off. If you are able to spring for a few extra bucks, this is our choice for the best overall model. Park Tool is known for their precision engineering and high-quality products. This tool has a high-end feel from the moment that you take it out of the box. It is a versatile tool that is more geared towards repairs that require higher torque settings or installations that fall into the bottom bracket. The company suggests using the TW-5 instead if you need to get lower settings. This is a click-type wrench that has a high-quality ratcheting system. It will deliver the perfect amount of torque every single time. It has a range of 10 to 6nm. You can adjust it in increments of 0.25Nm which is far allows for more accurate fine tuning than the Pro model. And, because the range is more varied, you will probably get a lot more use out of this one. • Range: 10-60Nm – with increments of .25 Nm for fine tuning. • Compatible with left- and right-hand thread types. • High-quality feel and finish. • Storage case comes with it. • Has a handy conversion chart on the body of the wrench. • You’ll have to get the hex bits separately. • Only suitable for higher torque applications. 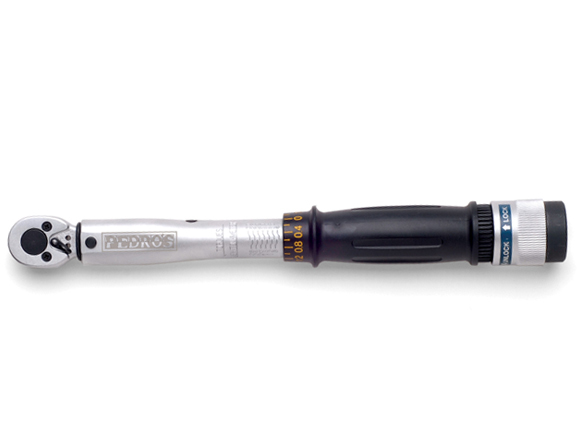 This is a compact model that is comparable to the Pro wrench in terms of size and range. It is ideal for when you need to work on more delicate carbon fiber areas. It is especially good for seat binder and stem bolts. You’ll be able to use this for most applications on your bike. The range is from 3 to 15Nm. This model is on the list because it performs pretty well. Price-wise it falls in between the other two models, leaning more toward the price of the Park Tool one. In terms of versatility, you might as well just pay the extra bit of money and get the Park Tool. Alternatively, there is not much difference between this one and the Pro, so if you are looking to save money, you’d be better off with the Pro. Any of these models will serve you well, but we do have one clear favorite. Can you guess which one that is? For those who weren’t paying attention, it’s the Park Tool. Yes, it is more expensive than the rest, but it’s also an extremely good brand and offers the most versatility. On the downside, it is bigger than the other two so that will have to be factored into it as well. At the end of the day, it pays to work out cost per use. If you are only going to be using some of the features and a limited range, then it might pay you to have a wrench that can easily be taken on the go.